Remember all those cool futuristic gadgets we used to see in some of the Sci-Fi movies(like Minority Report for example)? Not to get too philosophical, but just judging by the gadgets and technology that keeps popping up like mushrooms around us these days, it’s becoming more apparent that ‘The Future Is Now’. There has been many recent additions to the wearable technology market. I have to say, this one is by far the most unique one yet. 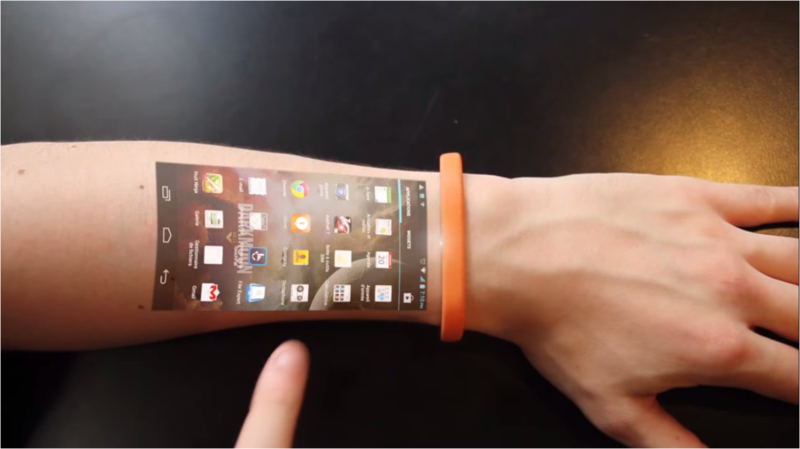 The Cicret Bracelet can project a touchscreen onto your arm, making it possible for you to easily access and work your apps without having to take out your phone. This product is still in its prototype phase and has not officially been launched yet. The creators of The Cicret have built a website to explain the details of their vision and have uploaded a video for us to get a bigger picture too. 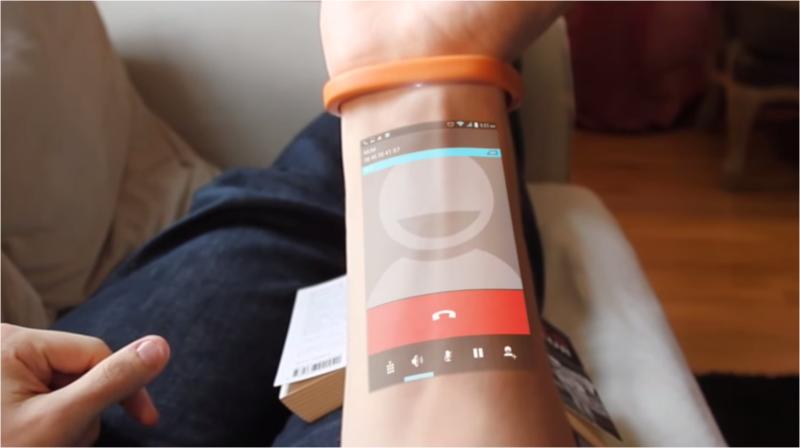 The Cicret Bracelet uses a Pico projector to project your phone’s screen onto your arm, and it’s equipped with eight proximity sensors which makes it possible for the bracelet to detect your finger position whilst you control the device. 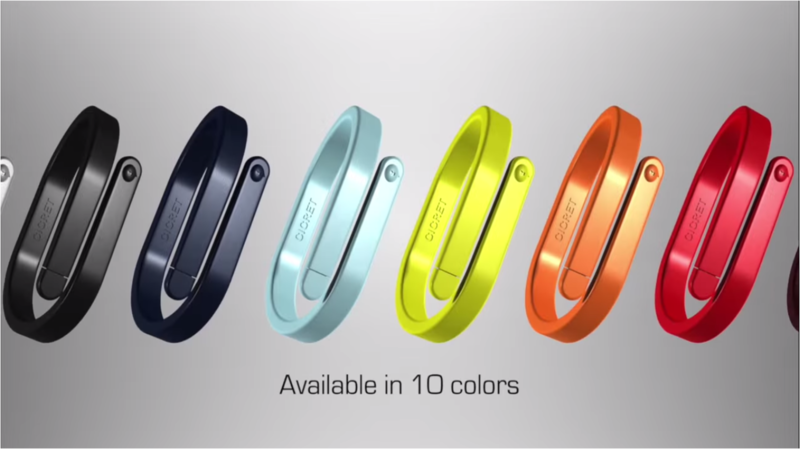 This futuristic gadget that will be available in 10 colours also features its own processor, storage, vibration feedback, Wi-Fi, Bluetooth connectivity, and of course the earlier mentioned sensors and projector. Who would have ever thought a little bracelet no wider than 10mm would be able to carry all those components? 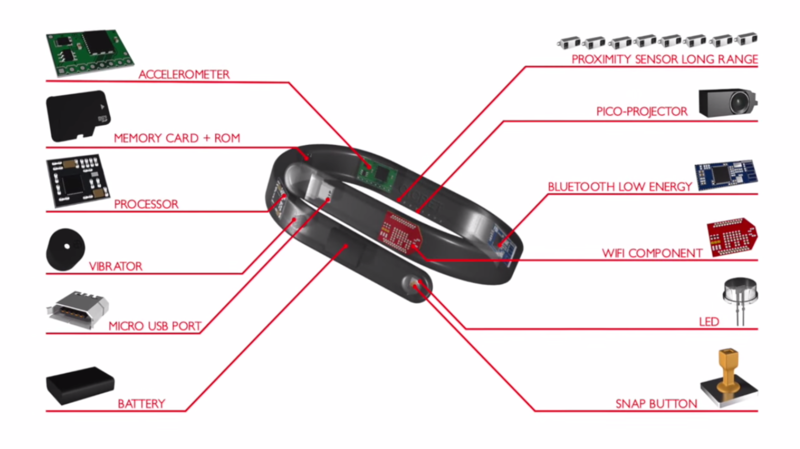 The developers of The Cicret Bracelet have taken to their website asking for donations to help make their dream come true. Their target is to gain up to 700,000 Euros in order to finish their first prototype. All donors will be listed on their page in their attempt to proof the authenticity of their efforts. As of this morning (December 3, 2014) they have 2,010 donors and have reached 14% of their goal. Personally, I am truly excited about the possibility of this product. It would be so much easier being able to walk around without having to carry my big chunky smartphone (which is honestly the size of a brick) along with me. 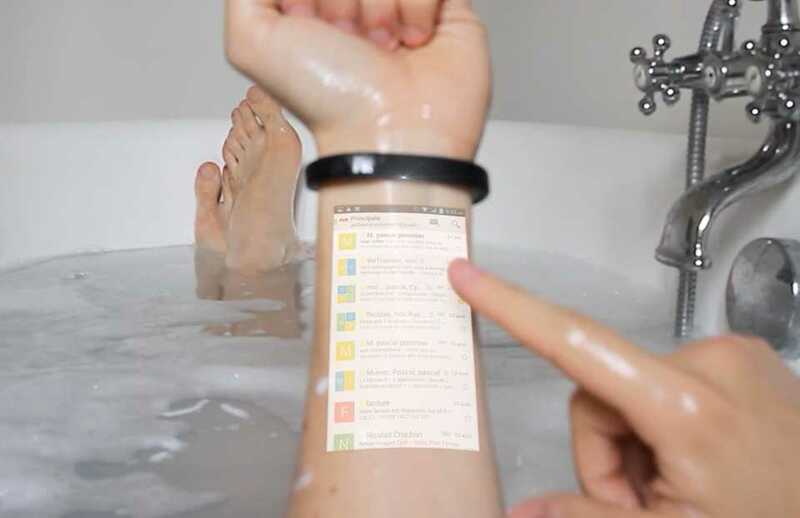 I can just leave it in my bag, and get all I need to get done via the Cicret Bracelet. For ladies, we won’t have to worry about ‘missing a call because our phone was on silent and in the bag’ or having to take out our laptops or phones every time we need to send an email or a message. It would all be right there on our wrist, at our convenience. However, not everyone feels the same way about it. A few others were curious about how long the battery life would actually hold up, expressing how they have had bad experiences with small gadgets that cost a fortune but don’t last that long due to lack of durability and weak battery life. The younger generation expressed mainly one genuine concern, “So will everyone be able to see what I do online? It looks like it’s hard to hide if you want to type a message in private!” said 14-year-old Dhanya Lim from Sunway International School. 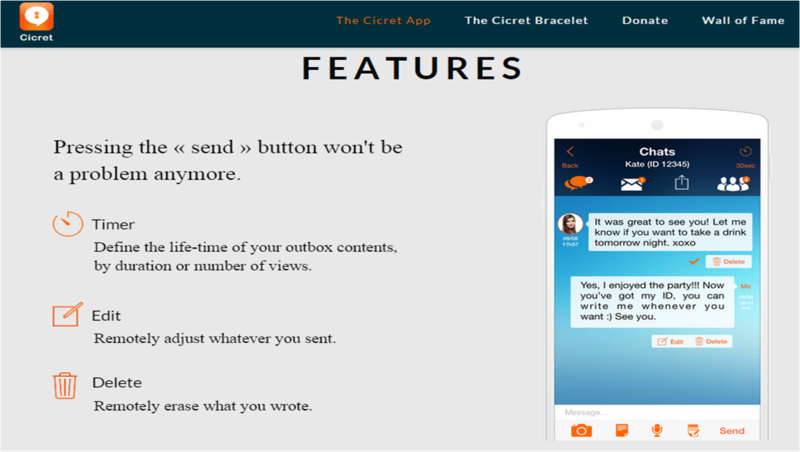 The creators of the Cicret Bracelet are also in the process of developing the Cicret App. The Cicret App, in a nutshell, is a simple messaging service that gives you a free and secure chat solution, for those who want to chat, share, and exchange safely without being traceable. This technology provides anonymity and full control on all contents you have shared, even after you have sent them. Meaning, all your messages can be edited even after you have sent it. So now, pressing that ‘Send’ button won’t be as stressful as it used to be! The public can also contribute donations for the creation of this app at the Cicret website. For this technology, they need 300,00 Euros to develop the app across all platforms. If you feel like this is something you can’t wait to get your hands on, then jump onto their donations page to help them at reaching their goal.